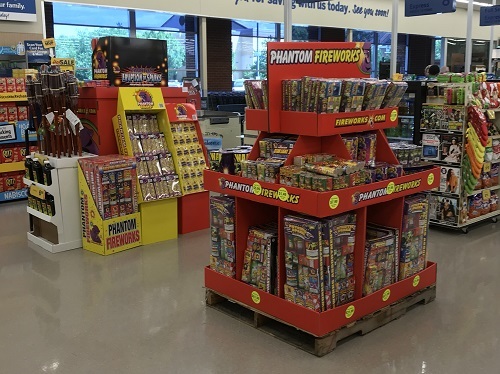 Phantom Fireworks is the premier firework partner for Retailers across the country. 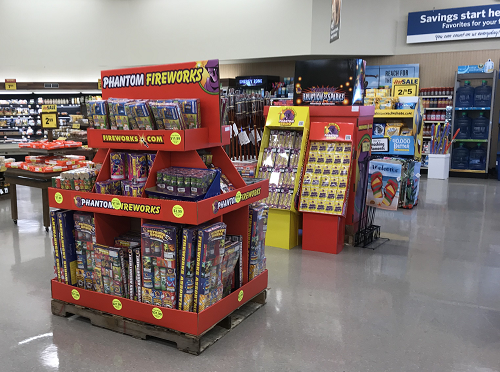 Phantom Fireworks partners with several thousand retail locations and offers a wide variety of products and floor displays. Boost your seasonal sales during Memorial Day, 4th of July, and New Year's Eve with Phantom Fireworks! There's also a wide variety of party goods and gender reveal items available to celebrate life events. To request more information on how you can get started as a Phantom Fireworks retail partner, please click the link below. Make sure to fill in all the fields and one of our dedicated team members will reach out to you soon.